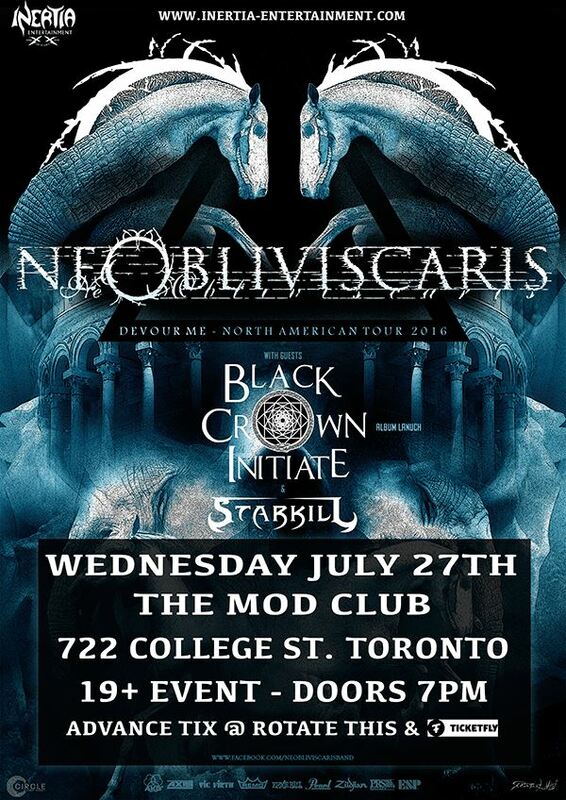 A lot has happened in the few short months since Australia’s extreme/progressive metal exports NE OBLIVISCARIS first visited North America earlier this year in support of Cradle of Filth. 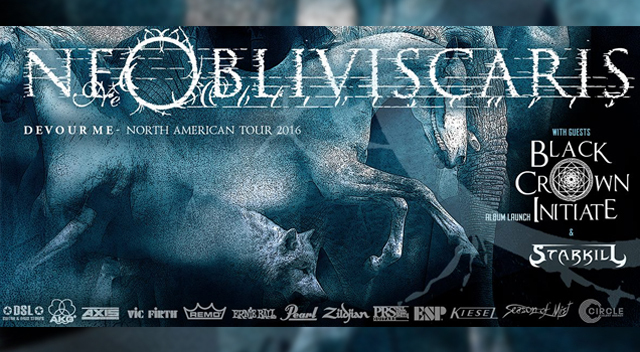 After being greeted with rave reviews across the continent from fans and media alike, the band finished their tour in March by launching an ambitious and one of a kind membership initiative via Patreon, a system that set out to try and achieve the seemingly impossible in today’s music industry, for the band to make a full time career from Ne Obliviscaris. Although the ultimate goal hasn’t been reached at this early stage, what this new initiative has done is make this headline tour possible and create some instant results for all their fans across North America. A band truly unlike any other in the international metal scene right now, whom NoCleanSinging.com described as "One of the absolute best live performances I’ve seen in living memory", their Citadel world tour in 2015/16 has seen the band perform to tens of thousands of people across the globe in Asia, the Middle East, Australia, North America and Europe, including at many of the world’s biggest festivals, and earning them the status as one of the world’s most hyped emerging metal bands. 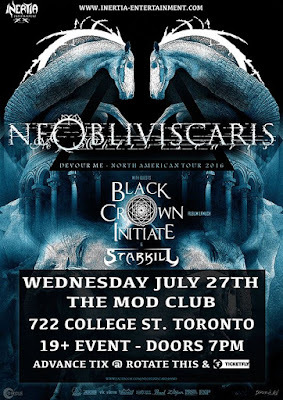 Joined by special guests BLACK CROWN INITIATE (launching their recently launched album ‘Selves We Cannot Forgive’) and STARKILL, don’t miss NE OBLIVISCARIS’ first ever North American headline tour.